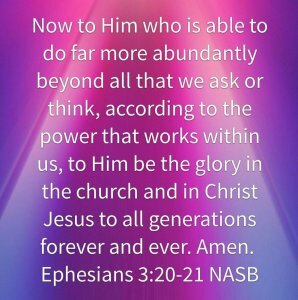 This quote is Ephesians 3:20-21 (NASB). This Scripture is beautiful. It speaks to the power of God and reminded me of just how great that power is. I became particularly cognizant of this Scripture two and a half years ago, while I was reading Priscilla Shirer’s book God Is Able during a very stressful and painful time in the lives of my family. My sister-in-law, Cathleen, was battling cancer. I was helping out by taking her to her doctor appointments and chemo treatments. So I actually was seeing and talking with her more during that four months than I had during the entire time she had been married to my brother-in-law. The cancer was very progressed and was actually in her bones. She was fighting hard at first because my brother-in-law wanted her to but in her own mind she just wanted to be done with all the struggle. As I mentioned I was reading this book and I shared a copy with her and I pray that she did read it. Not sure she did. But we did talk about it. She passed away on April 20, 2016 at 59 years old. She shared with my sister-in-law that she accepted Christ before she passed away. Hallelujah! Why am I telling you this before reviewing the book? I guess I just wanted to share the emotion that was in my heart as I first read the book. I was seeking a way of sharing the Hope of Jesus and answers for my sister-in-law. I know God (and Jesus) and I trust that His plan is the best plan even though she didn’t survive the cancer. God Is Able! But what you and I desire may not be in His will. I hope this review will encourage you and perhaps you will want to read the book as well and pass it on to others. In 7 Chapters, Priscilla unpacks these 2 verses for us. God’s Word is so important. It contains so much Truth and we don’t really take the time to delve into just a verse or two at a time. Every single Word is there for a reason. If you believe, as I do, that God’s Word is ‘God breathed’ into the writers’ minds, then you have to know that every word is there for a reason. 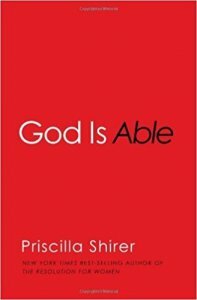 In her intro Priscilla begins by bringing to our minds that ‘something’ brought us to this book. If you have ever believed that God was going to take care of a problem for you and then it didn’t get taken care of, or that He was going to heal someone or heal you and then that didn’t happen, you then went from what you thought was Trust in Him to totally doubting Him and His ability to do anything or whether He heard your prayers, or whether prayers really make any difference at all. Then enter God! Just when ‘we think’, God brings a miracle. A change that you never thought would happen. Because God Is Able! Ephesians 3:20 begins with ‘Now’. We should always read Scripture in context. In this letter to the Ephesians Paul is trying to portray the greatness and grandeur of God. The vastness of His acts, his huge love and the wealth of our inheritance in Christ. Priscilla tells us that in the first half of Ephesians, Paul has taken us to heavenly places and then travels back in time before the foundation of the world, then zooms us forward to a future rich with eternal purpose. Right in the middle of recounting God’s glory and grace, Paul hits us with ‘ Ephesians 3:20-21! This is a doxology. A doxology is a short hymn of praises to God in various forms of Christian worship. ‘Now’ says get everything else out of your head. It says after all these things. Paul was in prison while writing this. And yet it writes a beautiful doxology to God in the walls of a prison. That was the scene of his ‘now’! He is telling us no matterwhat our circumstances, NOW, is when we should believe, trust, know that God is there with us, NOW! To Him or Unto Him. Paul uses this phrase twice, once in both verses. He is saying we are to turn to Him. To God. To Christ. Not to each other, not to ourselves, but ‘to Him’. Our focus should always be on Him. We should fix our eyes on Him. We get so involved in ourselves we rarely come ‘to Him’ except at the last moment. In both In both the Old and New Testament things always got better when the people turned ‘to Him’ and not to themselves or to each other. God is always in charge. 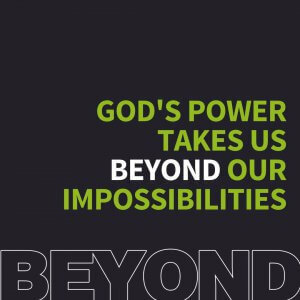 Paul is telling us that we can know for certain in regard to the seemingly impossible situation we are facing that God is Able. He can do it. He has the ability and power to do it. This Turth can transform your whole life. You must choose to believe it. 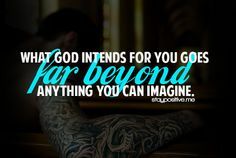 When you are certan that God can, then anything is possible. If He can, why doesn’t He? Whether or not God chooses to do something is a question of His sovereignty not His ability. He may allow things to happen in our lives that are decidedly not good, His Word promises He is still ‘working all things together for good to those who love God, to those who are called according to His purpose.’ (Romans 8:28) His purpose! Not our purpose! He sees more than we see. His timing is not our timing. Know that the One who is faithful and True is also willing and able. 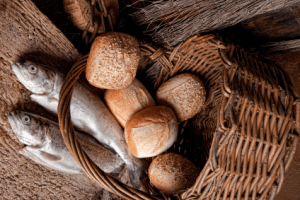 Chew on the ‘imponderable nature of God’s power on your behalf’. You will realize that voicing your wildest dreams to God does not tax His resources. Boy this is so true. I have always had a hard time taking wild dreams and desires to God. I am always so ‘reasonable’ that I don’t even consider going to Him with those thoughts. Perhaps that is my problem. I haven’t asked! I know He has the capacity and ability. Perhaps I just second guess His desires. Well, I have changed my prayers in the last few years and I typically pray that His perfect and Holy will be done. Whoa! Does that say ‘think’? Yes it does. It also says ‘all that we ask’. God cares about the big things and the little things. Have you ever prayed that He help you find your car keys? Priscilla gives examples of things like that. Funny. We will literally pray for His help….kind of breath prayers. “God please help me find my keys, I have to be somewhere in fifteen minutes’. A few minutes later they show up and we just head off to our appointment and blow off the fact that they He did show us where they were! Did we say Thank You! Sometimes yes, sometimes no. I had an experience at work where I didn’t even know mine were missing yet. I went to the restroom at work about 10 minutes before time to leave work and I always tended to go to the same bathroom stall if it was empty. Went into that stall that I had gone in early that morning and there on the hook in the stall was my car keys! Amazing, they had stayed there all day. I went into the same stall, not a different one. I could have. There were all empty at the time. And there they were! Before I even realized they were missing! That was a God thing! Yes small in some respects, but I truly believe that He knew what a day I had at work that day and I didn’t need the stress of searching for those keys. So He just showed me where they were! Note that the Scripture says ‘all’. All that we ask. No matter how big or small. 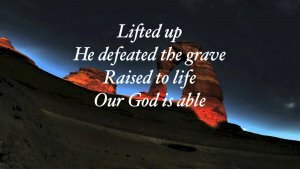 He is Able! The moment you believed (Eph. 1:13) you received the Holy Spirit. The Spirit of Almighty God took up residence in you. He dwells inside you and me right now as believers in Christ. 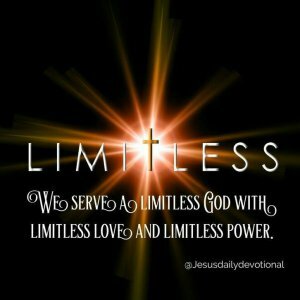 All His greatness, His grandeur, His fulness, His ability, His power. Is in you and in me. aul said the power of God that is in us is a power of surpassing greatness. (Eph. 1:19). Do you have the power in you but not put it to work? How do we activate that power? We do it by responding in obedience to the voice of God, yielding to the conviction of His Spirit, and operating under His leading in our lives, walking by the Spirit, refusing to gratify the flesh. His power will continue to grow and mature in us. The fact is that our lives are to be all and completely about Him! We exist today for His glory. We are to be examples of Him. We are to bear witness as to what His love is like and can do. We are to honor Him. We are here for His pleaseure, for His praise and His glory. Final Tips from Priscilla: Whenever you talk about what’s going on in your life, talk about Him. Not It. Celebrate the freedom His ability gives you and how it helps you stay content through whatever season of life you’re experiencing. Give Him the glory for all He pumps through you. Talk up His miracles rather than just moving on to the next problem.Let people hear why your confidence in Him is so well placed, even when you are dealing with difficult things. Relax in the hope infused into you by God’s power, no matter what your today or tomorrow looks like. Please leave your comments below. We appreciate your feed back. Note: When you submit your comment you are giving us permission to retain your info from your comment so that we may contact you. We do not share your info with any third parties. 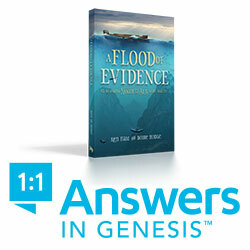 Our links will take you to a site where you may purchase the book God Is Able. Please see our Affiliate Disclosure for info about our links. Please feel free to share this blog on Social Media.